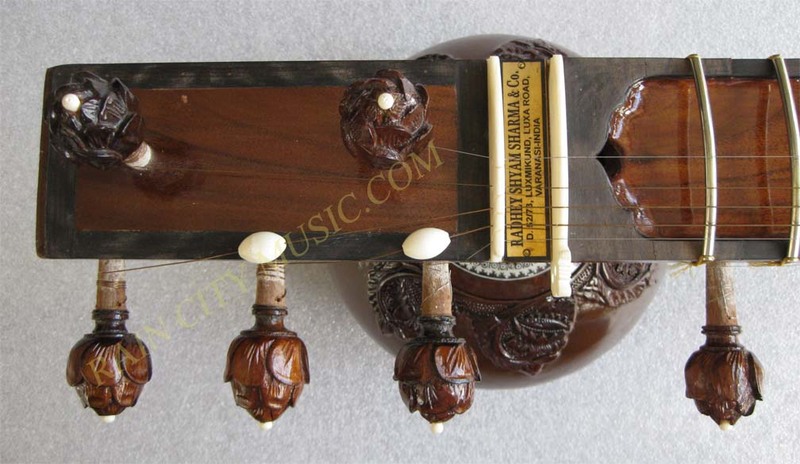 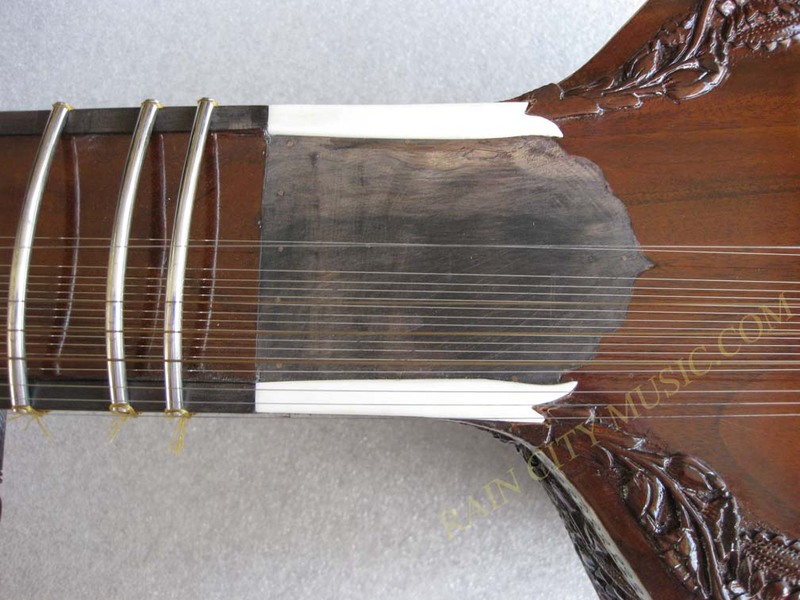 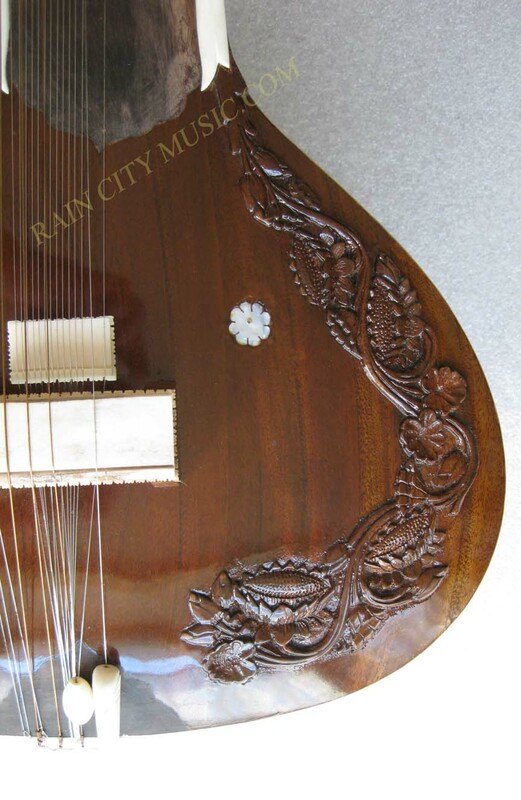 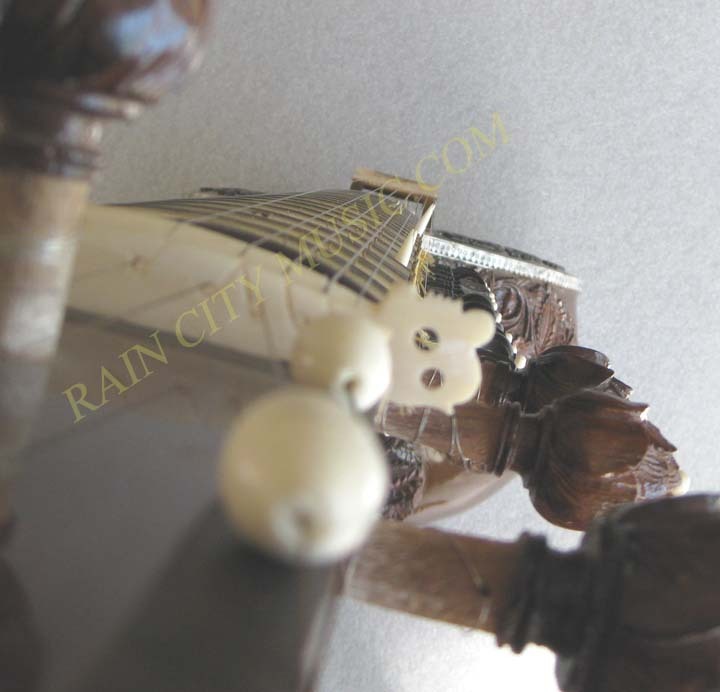 Radhey Shyam Sharma varanasi sitar mahogany tun sitar with ebony inlay and lotus carving. 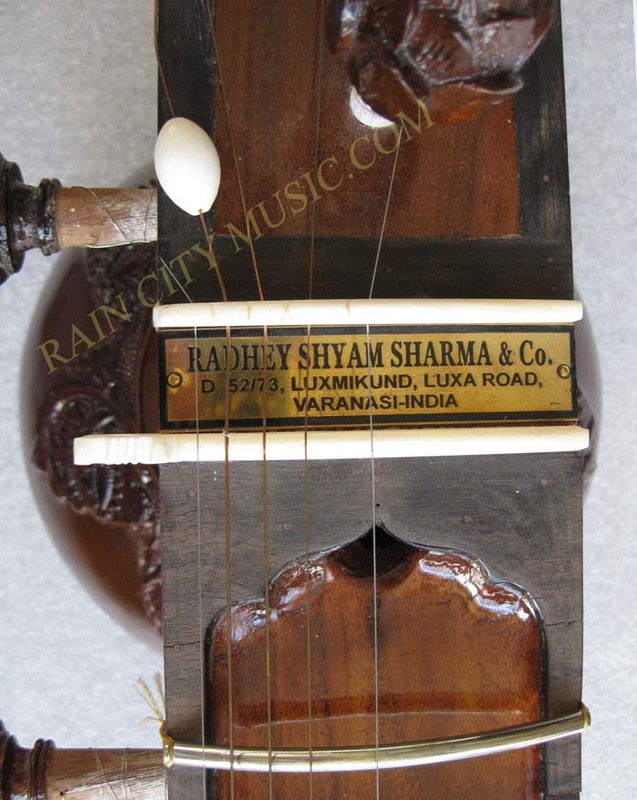 Radhey Shyam Sharma tun #1 (mahogany) concert sitar. 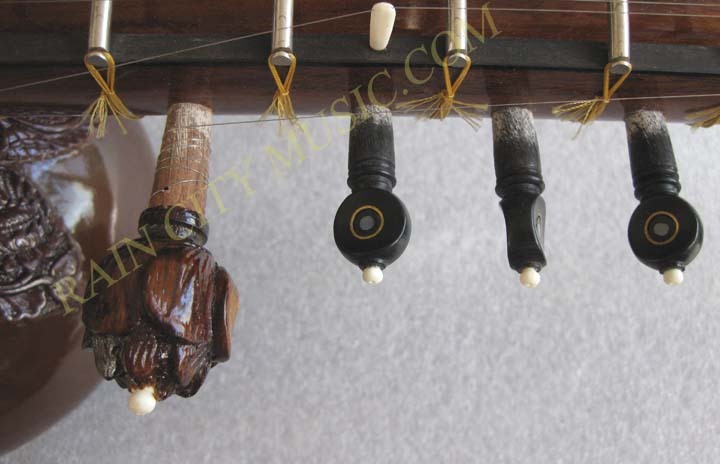 7 main strings ~ 13 sympathetics ~ Ravi Shankar/kharaj pancham style. 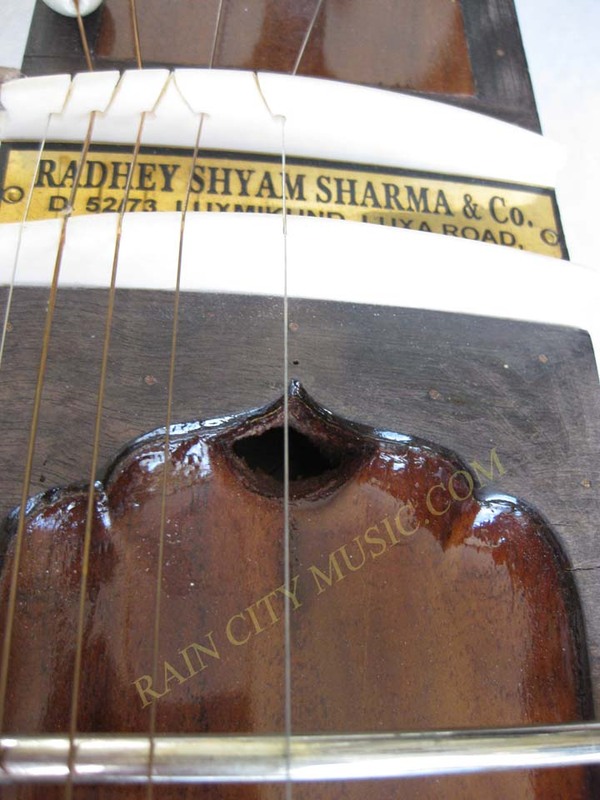 Made from aged mahogany and set up in kharaj pancham style with a top tumba and Radheys signature sound hole under the targahan. 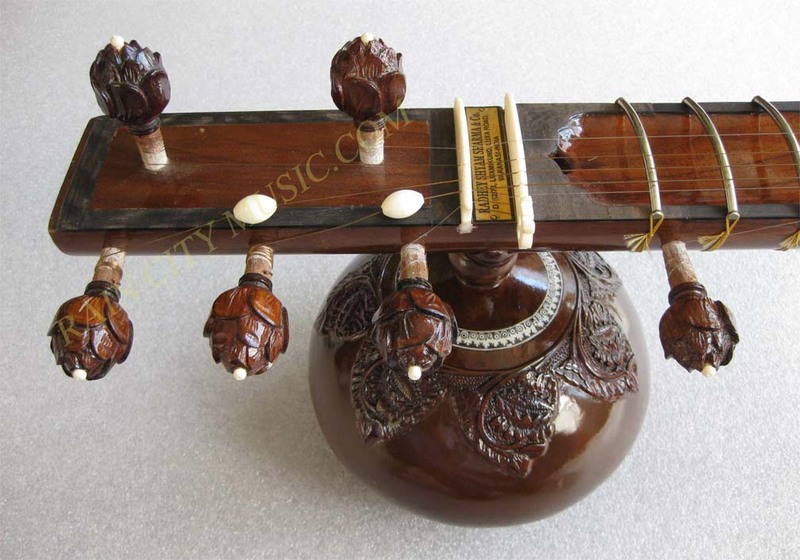 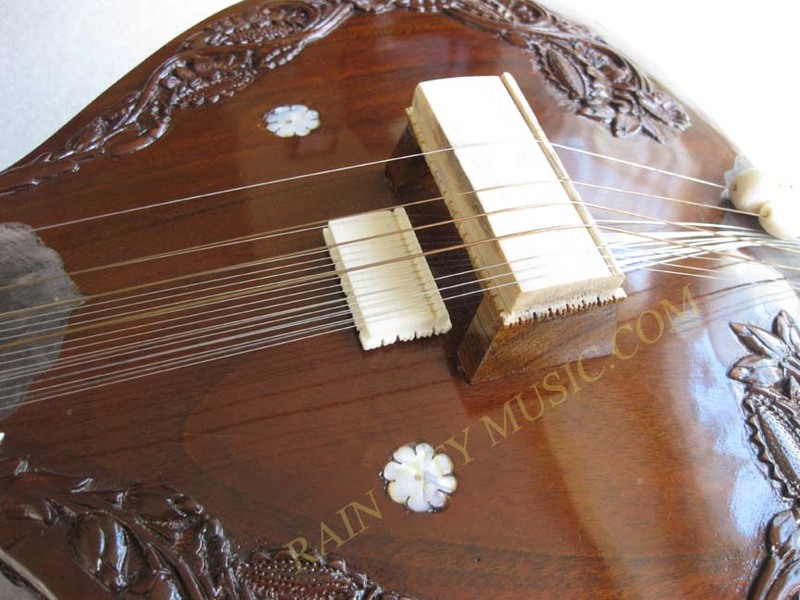 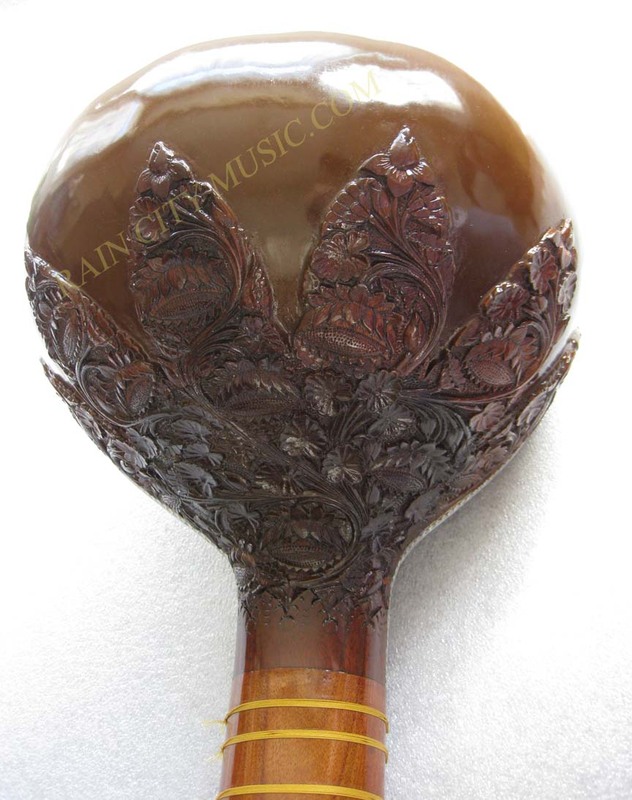 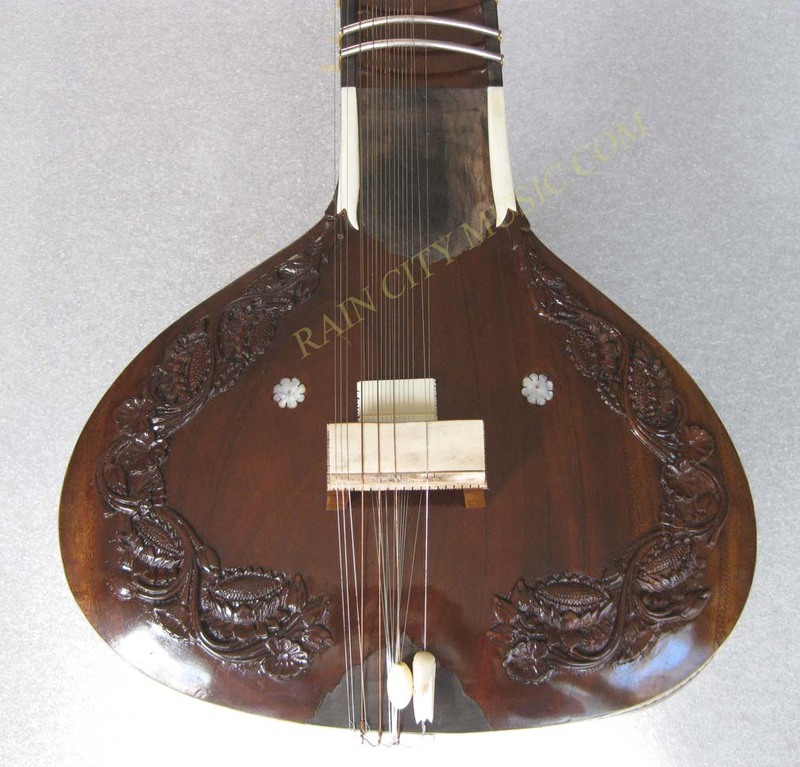 It's a rather unique instrument, combining simplicity with the ebony wood inlay and trim with full decoration lotus carving. 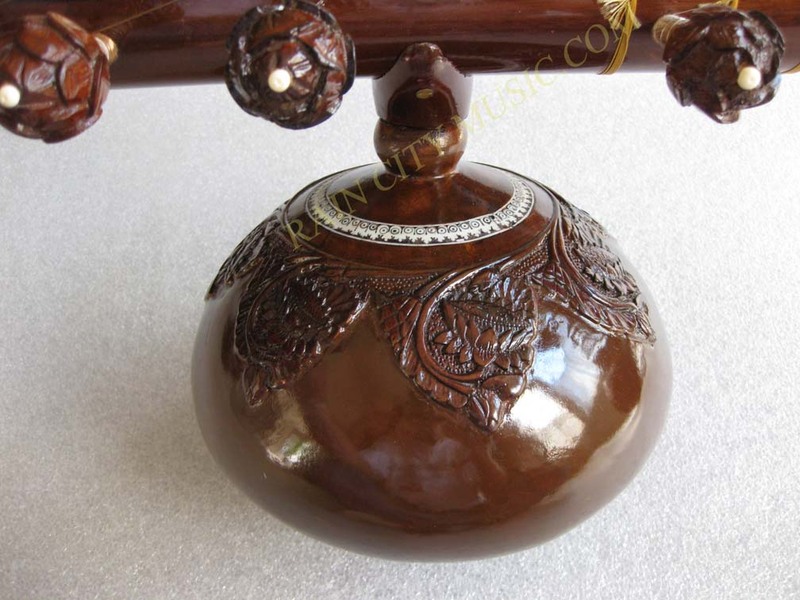 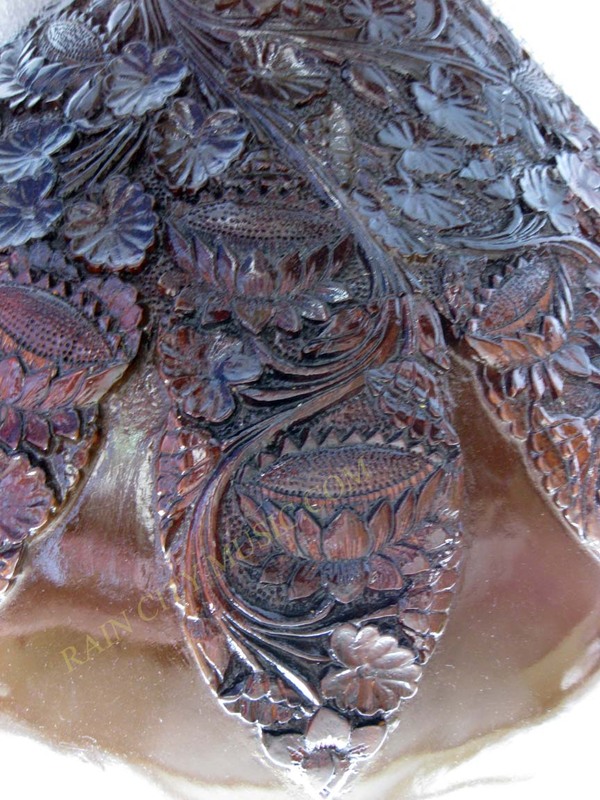 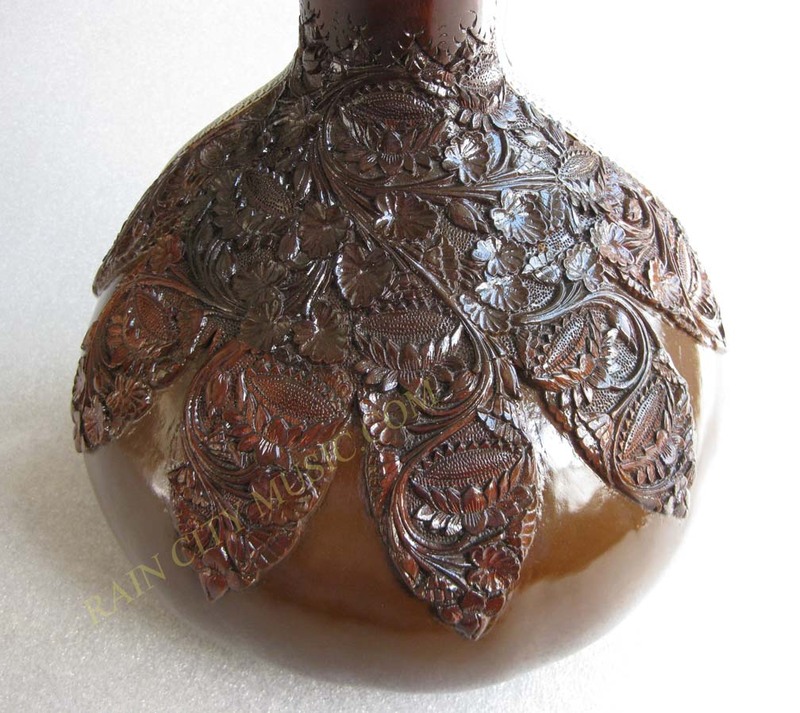 Indian ebony is used which has a varying contrast in wood color. 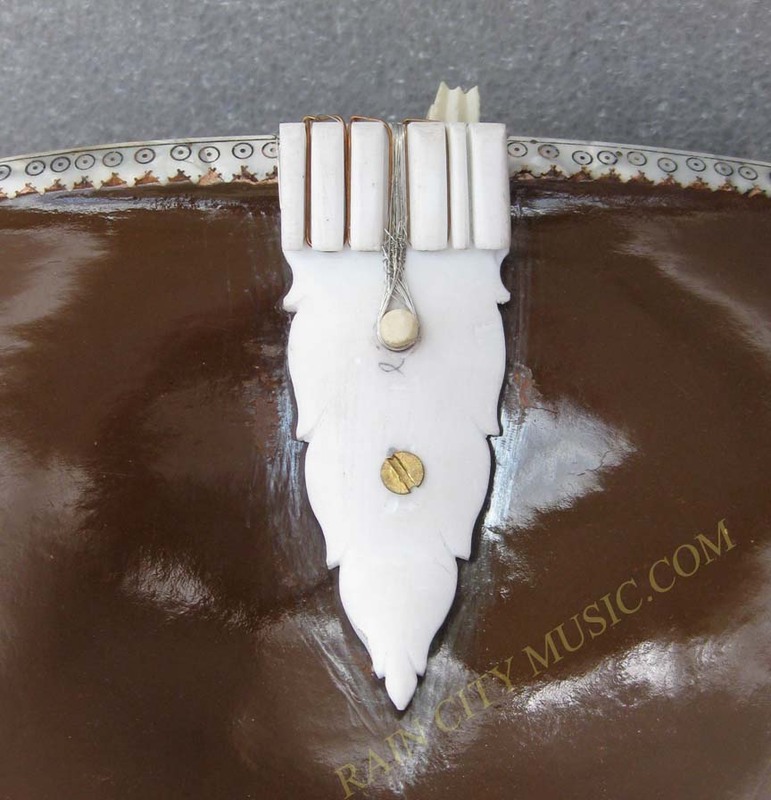 Floral main pegs with bone tipped hardwood sympathetics with modern style sympathetic grommets. 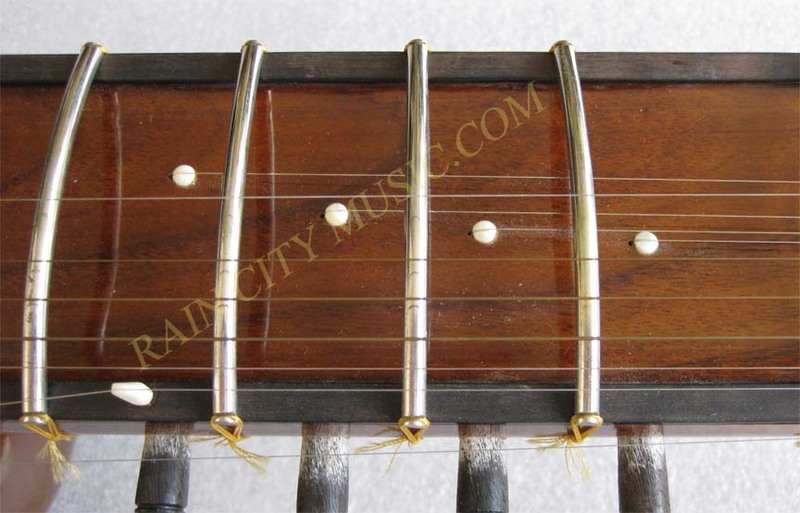 Natural traditional bridge material with a half open jawari. 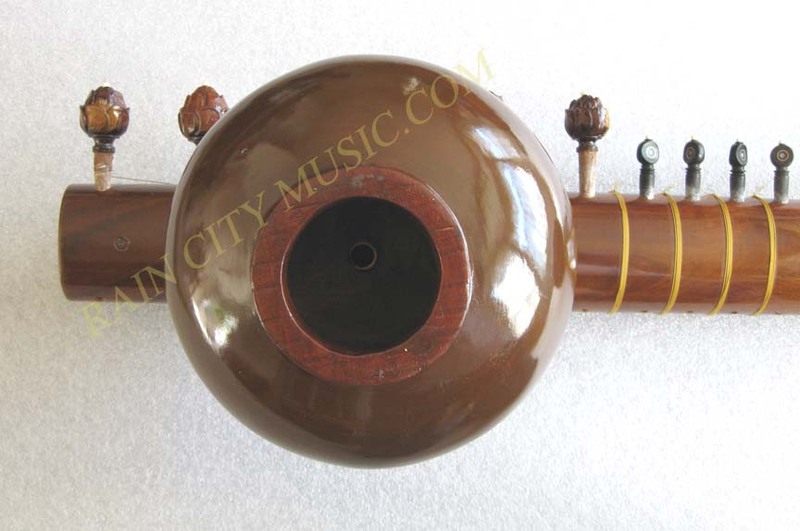 Sounds as good as it looks, this sitar is a top tun ~ mahogany model from Varanasi's best instrument maker. 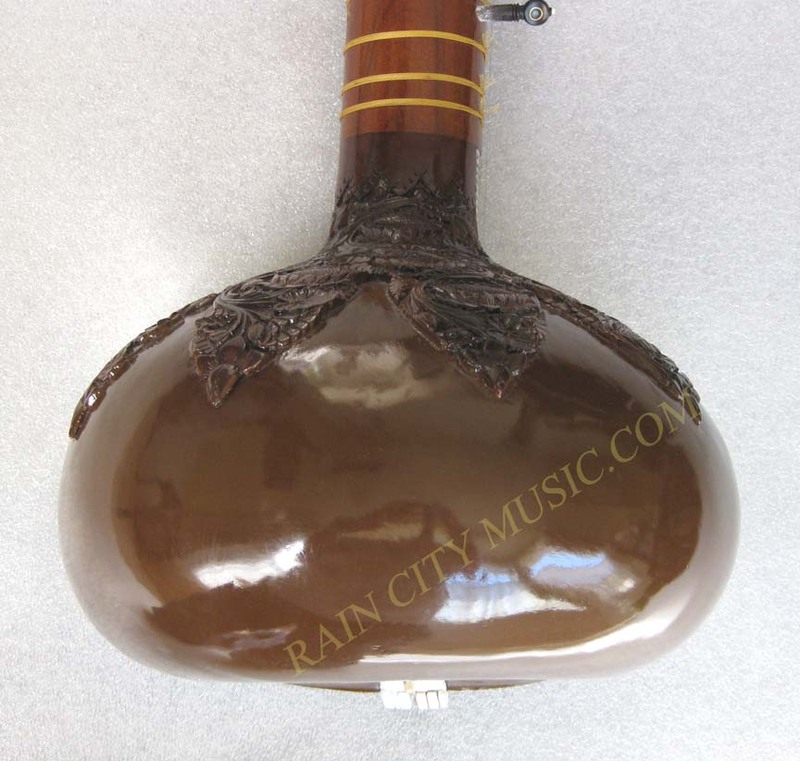 Comes with a fiberglass case and padded bag for the top tumba. 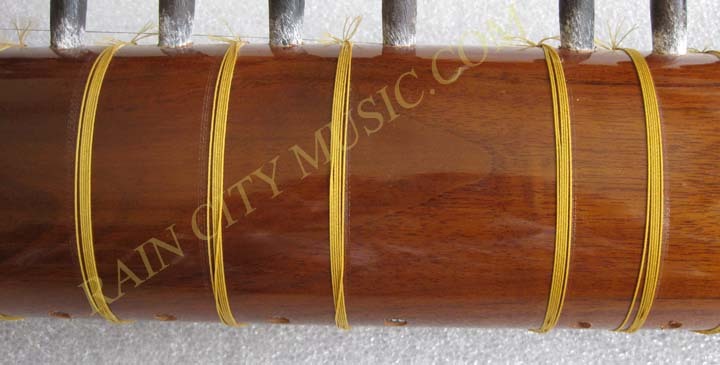 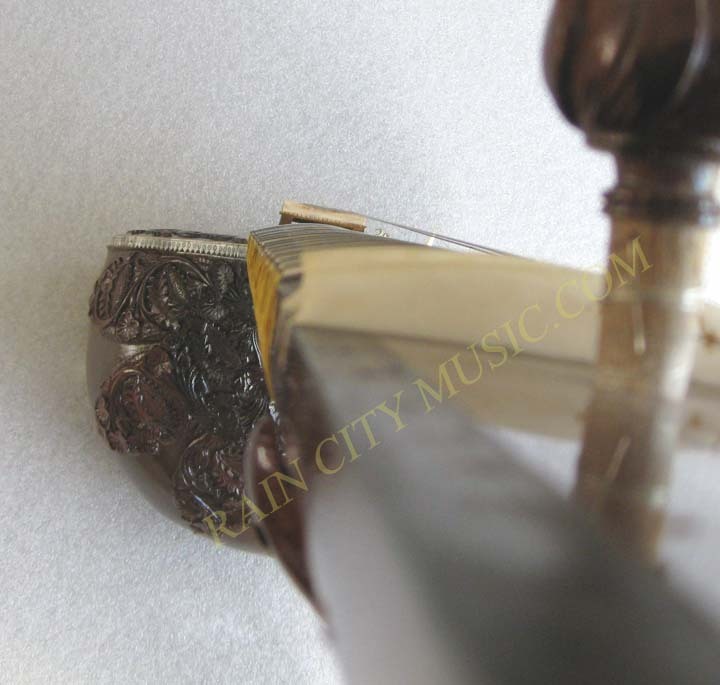 This sitar was personally selected by us in Varanasi, fitted to our specs and air shipped to our shop. 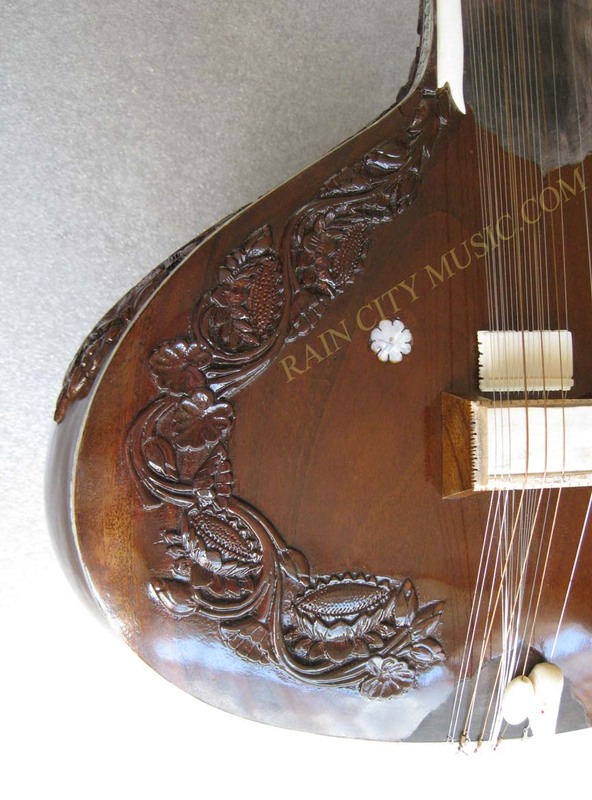 Some other people took pictures of this sitar and put it on another site without permission, rest assured it's here with us! 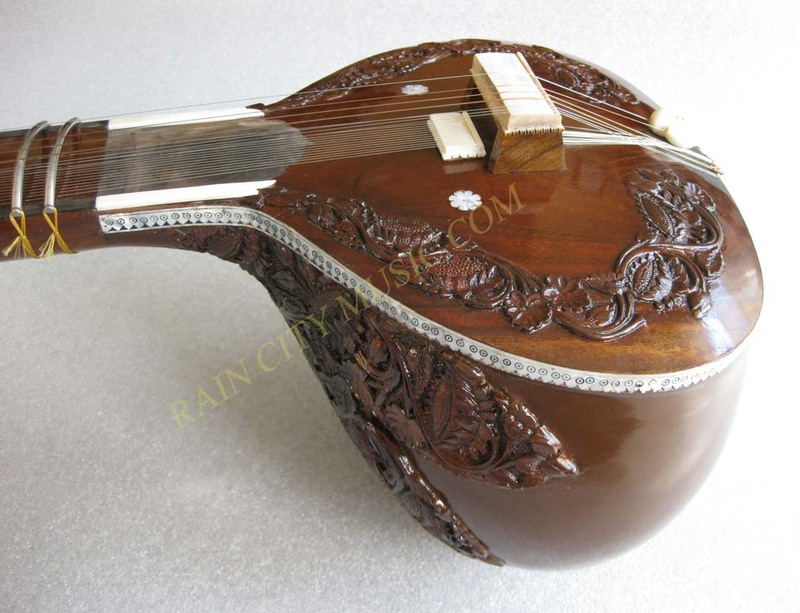 Sold, sorry. 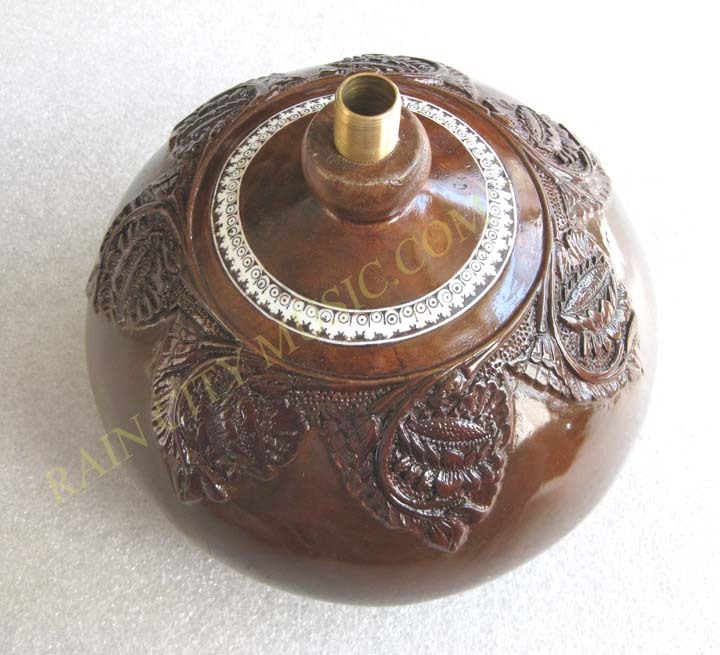 Archived...can be made to order if needed.